Front row from left to right: Nathi Dube (CSOS); Laurie Less (CSOS); Nomazotsho Memani (CSOS) Board Member; Advocate Leeteng Seeng (DHS) Acting Chief Director: Legal Services; Rev. Vukile Mahana (CSOS) Chairperson; Sindile Mazibuko (CSOS); Tinyiko Mhlari (CSOS) Board Member; Tobeka Sokudela (CSOS). When it comes to living in a flat or townhouse complex, everyone has heard some horror stories. There may be neighbours partying till the wee hours, dogs that defecate on your tiny patch of lawn, and the guy who parks in your bay. – or he parks you in when you are late for work. There are disputes with your body corporate about having to pay for the swimming pool you never use and the arguments about whether you are responsible for repairing the damp on your wall. Unless you have the money to fight the dispute with your neighbour or body corporate in court, these disagreements seldom get resolved amicably, leading to fractious relationships and unhappiness. But, the department of Human Settlements is moving to ensure that affordable justice is available to address these disputes. A new independent body, the Community Schemes Ombud Service (CSOS), is expected to be open for business in April 2015. The CSOS will resolve or adjudicate any complaints lodged with it regarding community schemes, including townhouses, flats, complexes, golfing estates, retirement villages, homeowners’associations and other forms of communal living that have a body corporate or management agency governing the common areas of the property. Think of the Ombud service as being to community living what the Commission for Conciliation, mediation and Arbitration is to labour. This sector of the housing market is worth more than R3 trillion, according to various specialists in the sector. Human Rights lawyer, Themba Mthethwa, has been appointed as the new ombud and is recruiting an initial 112 employees who will manage the organisation in a national footprint. “There is a lack of cost effective dispute resolution mechanisms amongst community schemes”, says Mthethwa, “Prior to the establishment of the CSOS, the only legal avenue that was available for consumers to address their complaints was through the courts and this had high associated litigation costs”. A small percentage of disputes ever make it to court because of the cost of legal fees. Most residents in community schemes are young, middle class people who can afford a R500 000,00 bond on a townhouse, but are not able to settle legal fees where a dispute may arise. These disputes normally end up in court when someone wealthy enough has an opponent who is prepared to oppose them to the bitter end. A team of property experts and consultants were appointed by the Department of Human Settlements to draft the Community Schemes Ombud Service Act, which was promulgated in 2011. The act is complemented by the Sectional Titles Scheme Management Act (STSM) 2011. They visited Queensland, Australia, where there is a high proportion of communal scheme living, and adapted its model of regulation. While the Sectional Titles Act will continue to govern the development, consolidation and sub-division of the “bricks and mortar, while the STSM Act will govern how the body corporate must manage the scheme. The ombud service will provide a dispute resolution mechanism for community schemes. How will the new ombud service work? It has been granted seed funding of R40 million to set up offices in Gauteng, Western Cape and KwaZulu Natal. However CSOS will be self funded, which means community schemes are expected to pay a levy each year to the CSOS, - a nominal amount, to finance the running of the organisation. A resident, may lodge a complaint in writing, on the CSOS website, via an email or come to the office in person. The complaint will be assessed, to see whether is merit in the complaint. If, so, the next step is conciliation, when an attempt will be made to resolve the matter amicably between the two parties. “We envisage that conciliation will take approximately 30 days, but a quick resolution of matters may be resolved within days. 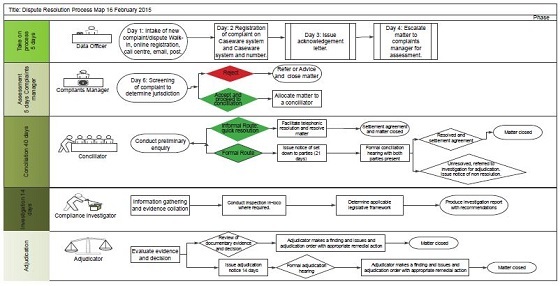 Adjudication which involves more complex matters may be resolved within 60 days. The complexity and nature of each case will determine how long it takes to dispose of a dispute as an investigation may be required”. Given the large number of community schemes in South Africa, Mthethwa says that the ombud service anticipates receiving an influx of cases numbering in the thousand. The CSOS is planning a national road show as well as an education and awareness campaign to coincide with the publication of the draft regulations. This will enable us to consult with industry players and consumers. You may contact the CSOS on 010 593 0533 or access our website on www.csos.org.za.